Account Validation: you HAVE to activate your account via the provided link. Otherwise you will not be able to use our shop. 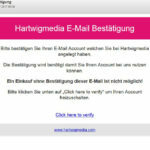 You´ll receive the two mails at the same time. You need also an account for the Free Downloads. In the Quickview you can easily choose the desired license and the prices will be shown, too. The filter navigation on the left side of the shop does it duty after the “and priciple”. That means you filter the term happy AND a second term like funny. You can narrow the filter when selecting a section like Genre->Action. Then the filter applies only for that sections and not for the whole shop! 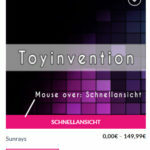 You can see some products with the term “2 Versionen or 2 Versions”. This means that are several mixes of the track available. These are included only in a commercial licensing (not the free download). And will be send to you as a packed ZIP- File. The Whishlist (heart icon) is for storing you most loved music tracks while browsing our shop. 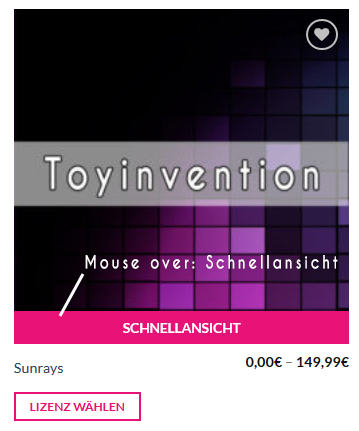 To add a product to the whishlist you simply have to click the heart icon appearing while mouse over a product picture. 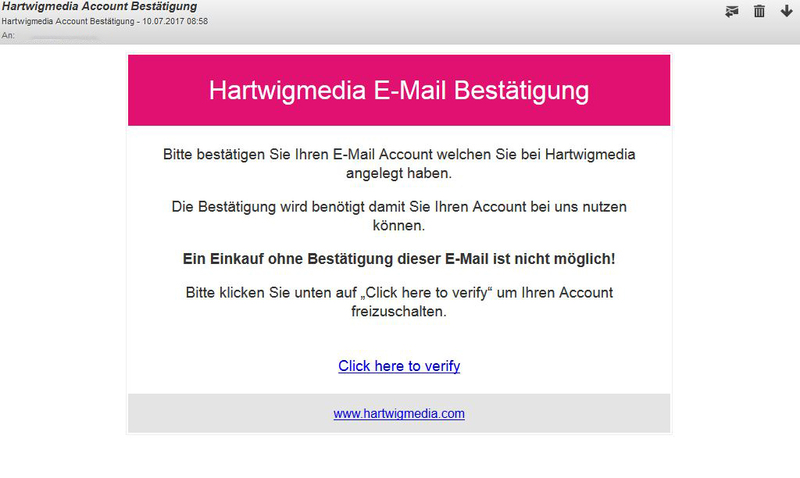 On Youtube, Vimeo and similiar Videoportals please add also a tag “hartwigmedia” where possible. The Musicshop is meant for a comfortable and easy music browsing experience with some nice cover pictures and a big navigation. But you need to take your time for discovering everything we have to offer. The Quickshop is meant to be for all producers just wanna have a quick listen through our library. No pictures and other things just a list with our whole archive. We also have a quick navigation with tree hierarchy for even faster search- and browsing results. 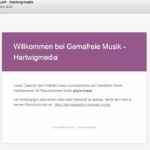 Royalty Free Music – what offers Hartwigmedia? use our whole music archive for free in case you need it for private and/or non-commercial usage. We deliver a MP3 File (160kbit) in full lenght. So in case you want to license later you simply get your license and the HD WAV File you get after a commercial licensing. In Youtube, Vimeo and similiar portals please also add a tag “hartwigmedia” in the video description. All commercial licenses are fitted with an perpetual, worldwide, non-exclusive usage right. As we always try to keep things simple we also have a standard checkout process. PayPal: your download is ready immediately and you can download the HD Wav file in no time. The license document will be genereated within 24 hours. Invoice: your download will be on hold until we have received the license amount on our bank account. The license document will be created after the amount hit our bank account. The license document will be generated for every commercial license (Online and Media License). It is a vital proof that our music is royalty free. So in case a PRO (performing royalty organisation) ask you to give them money for using music just give them the license document and they will shut up. This is because we are no members of a PRO and are taking care of our rights by our own. A PRO is not legally allowed to claim any rights for us! Our music can be used in an unlimited amount of own projects. Own projects are such one you are doing on your own behalf without any third parties involved. So you have to get yourself a commercial license and you can use the licensed tracks as often as you want in your own projects without additional licensing. In that case you have to key in Selfusage or Ownusage during the checkout process. In case you are producing your project on behalf of third parties (maybe one of your clients) your have to get an license for every project you are doing. We license on a per project base and you need a license for every single project you are doing when you are acting on behalf of third persons. What do we understand as free to use music? The Free Download contains a full length MP3 (160kbit) audiofile. This can be used for private and non-commercial projects completely free of charge. You cannot use the Free Download Version for any commercial purpose. This also includes monetized Youtube Channels or Contente meant to earn money. Also give as a tag “hartwigmedia” on Youtube, Vimeo and similar platforms. What is a Production Music Library? Production Music is music you are allowed to use in commercial projects like films, advertising or applications. Therefore you have to obtain a license that fits your needs. 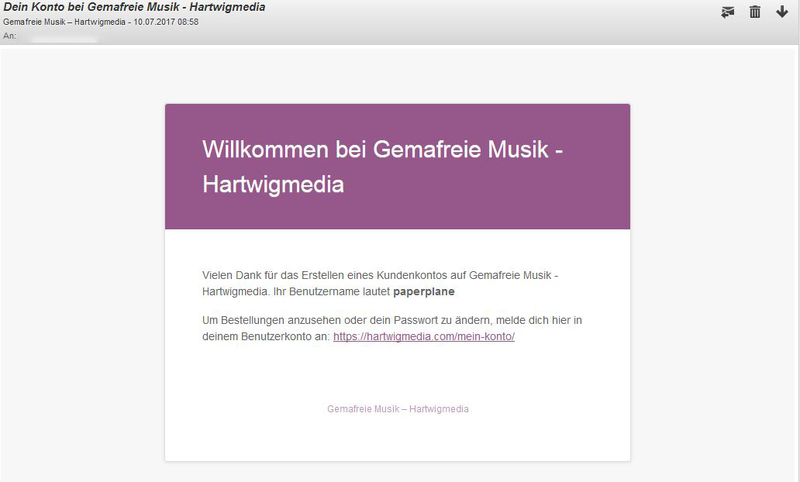 Hartwigmedia is one of germanies leading production music libraries with royalty free music. Why? Because we have the best prices around paired with easy to understand and fair license conditions. Also our music is top notch and most of our productions are exclusively available over our shop. The Free Download comes as MP3 file with 160kbit resolution – also pretty good. Well all projects that have not the intention to earn or generate any money. For example private vacation videos, private diashows – you´ll get it right? Everything you create to earn or generate money. This can be a contract work for a client of yours, a marketing video for your business, a monetized youtube channel – all that makes money and you´ll have to get a proper license. Why we do not distribute under Creative Commons? Well this nice license model has really no big value when it comes to a dispute. It´s nothing you should really rely on as this model is not even acceptet by any PRO (performance royalty organisation). So we believe it´s better to have our own terms and conditions you can truly rely on. They are fair and easy to understand and valid for all of our royalty free audio productions. We believe it´s safer and not so risky for our customers as CC licenses. Can I shorten or extend your audioproductions? Yes you can! With a commercial license you are allowed to shorten, cut or extend our music as you need it. What you cannot do is any kind of commercial Remix. If you are planning to do so please drop us a mail first! For how many projects am I allowed to use one track? if you are planning to use a music track on your own behalf and have licensed it, you are allowed to use that license in an unlimited amount of own projects. If you are producing your project on behalf of a third party (e.g. for one of your customers) you need for every project one license. When do I receive the license document? In case you have purchased via PayPal we will generate the license document as soon as possible for you but not later as 24 hours after payment.When purchasing via Invoice you´ll receive the license document after everything is paid and we have the money at our bank account.